Gunpowder is how we won our Liberty, right here in Pennsylvania in the eighteenth century. Its history is intertwined with spirits: gunpowder was once used by sailors to detect watered-down booze and distilled liquor was an ingredient in gunpowder production during the Middle Ages. 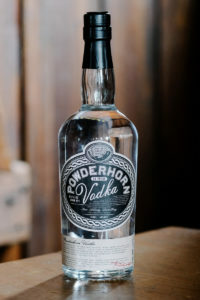 Powderhorn Rye Vodka is our nod to the innovations of the past and the successes of those who came before us. We use malted rye for a spicy base, then batch distill for a smooth finish. It may not win the war, but it will make your day.